Table banking: Women begin by participating in a table banking program where they pool their savings with other women and take turns using the money to establish and grow businesses. Through this system they keep each other accountable for using the money wisely and support each other as they learn together. Training and Mentoring: Bliss arranges training in business practices and financial issues to equip women to achieve their goal of an income that they can sustain themselves and their families on. Handicraft project: Making handicrafts such as jewelery and baskets is one business option for Bliss women, and they are also supported to find markets to sell their goods. Micro-finance loans and grants: We are constantly on the lookout for members who are of good character, hard working and likely to succeed with financial support. Life in Kenya is sure to fascinate you, especially the joy of its people and outlook on life, its landscapes, culture and customs. Unfortunately, you may be very surprised with the poverty that exists there and that is why we will work together; doing everything we can, to reduce it. Your first contact with Kenyan life will surely be with it’s famous "matatus", supposedly a van for 14 people that everyone uses a as a means of transportation. It’s very cheap and you will quickly learn how to use and enjoy them. There are other modes of transportation but this is the most famous and common. The Bliss Women and Children community based organization is a Christian, and non-profit. Our aim is to create and provide opportunities for women and children, who are living in extreme poverty, are abandoned, vulnerable, internally displaced, the aging, widowed or experiencing health challenges such as cancer, TB and HIV. Women ingroup formations and vulnerablechildren are key beneficiaries from our programs and services . The organization established in 2004 is located in Rhoda, one of the poorest and sprawling slums in Nakuru town , Kenya. We always will serve peopleindiscriminately regardless of race, religion, ethnicity or gender. 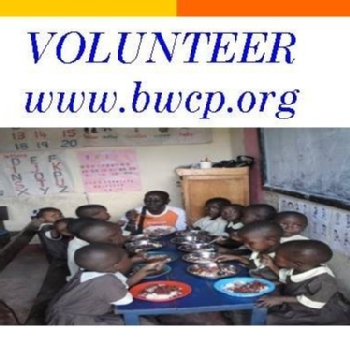 BWCP was founded by Esther Githaiga, a young, Kenyan lady passionate and committed to address the socialinjustices,poverty, gender inequities. Bliss invites and accept volunteers from throughout Kenya and around the world wishing to offer their expertise and skills to advance the organization’s objectives( get their hands dirty !! ). 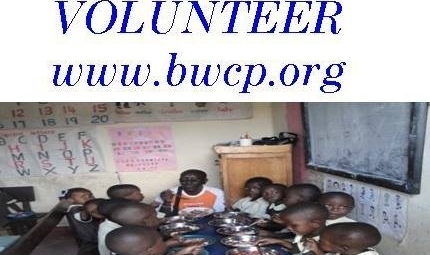 BWCP opens doors and offers hope to all target groups to build a better future for themselves and their children.